Whether you're looking for a bar snack, a light bite, or fine dining, you'll find it all here. We serve delicious food, cooked to order. 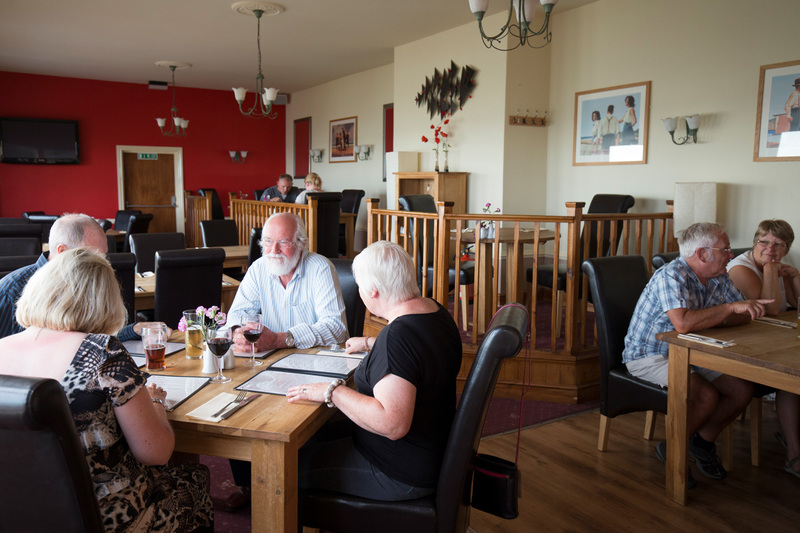 * or inside, on the first floor, in the "Balcony of Kent" dining room, which also has great views over Pegwell Bay but is a little more weather-proofed! Reservations are required for the "Balcony of Kent" dining room, which is also available for hire for private functions and group bookings (up to 34 covers). Please Note: We are unable to take table reservations by email. Please telephone 01843 593991 to make a reservation.